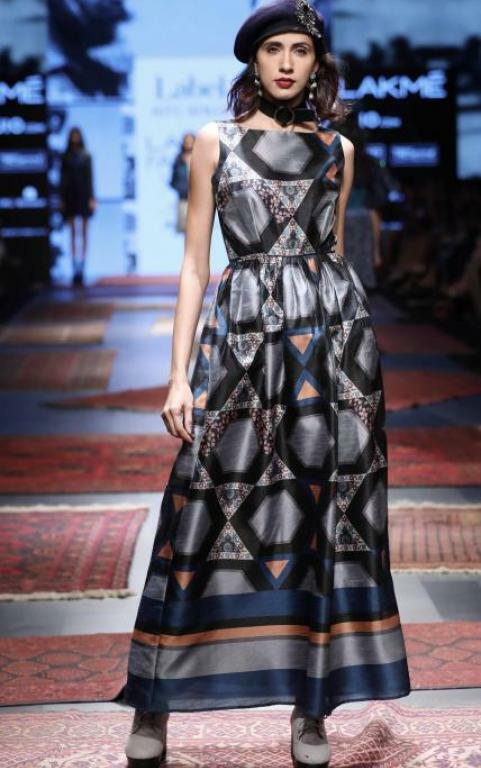 Lakme fashion week dresses had a lot of drama and glamor to bring at the stage. 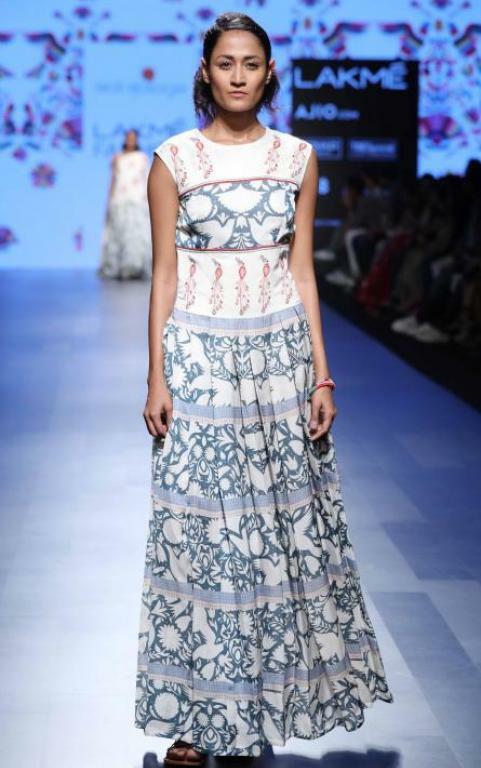 Designers played with multiple styles such as long dresses to pretty looking midi length styles of Label Ritu Kumar. The fabric choices were either Satin, silk or the georgette along with laces to bring exquisite styles. 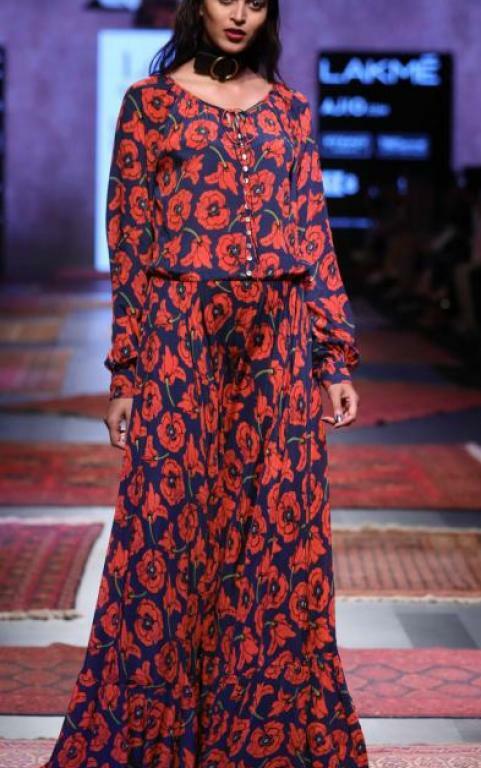 The best trends spotted during the Lakme fashion week 2017 summer/resort 2017 were simple and clean prints in women's ethnic wear department with the high use of the organic fabrics and Linen as the key fabric trend. 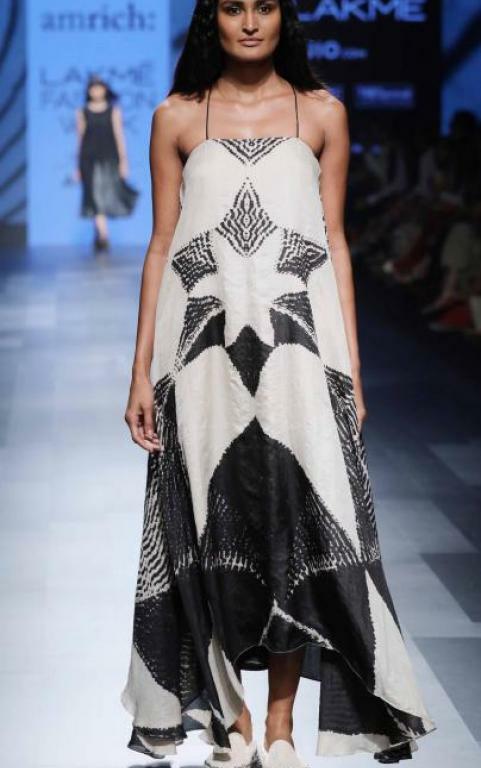 Designers experimented with multiple new styles, targeting the youth consumers as the biggest market the Kurti styles had the western influence with the lightweight fabric allowing the best of the casual look. Sheath Dress are one of the dress category spotted as the very prominant style during the show. They continues to dominate the women's market being glamorous. 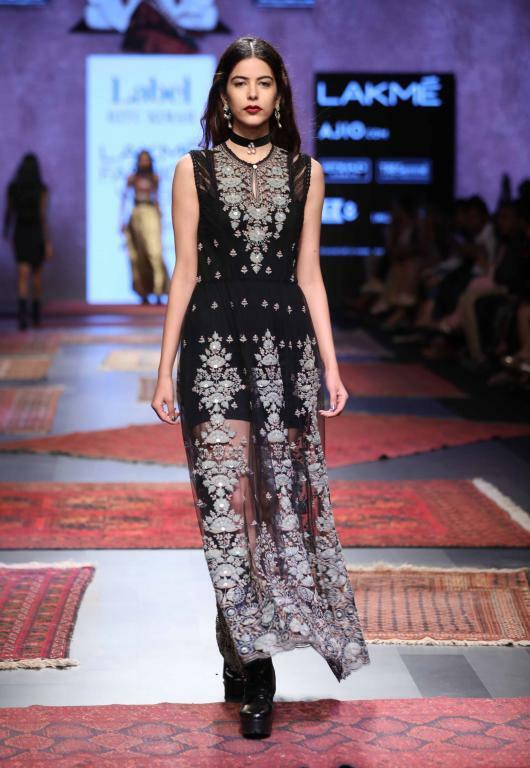 At Lakme fashion week designers played lace and shimmer. Galang-Gaban brings the white silky fluid dresses on the ramp, being fluid they are the perfect style for the spring summer. The Lace is still getting enough limelight this season to think of getting ride of Lace dresses. White and Black rocks the Lakme fashion week 2017 runway trend. 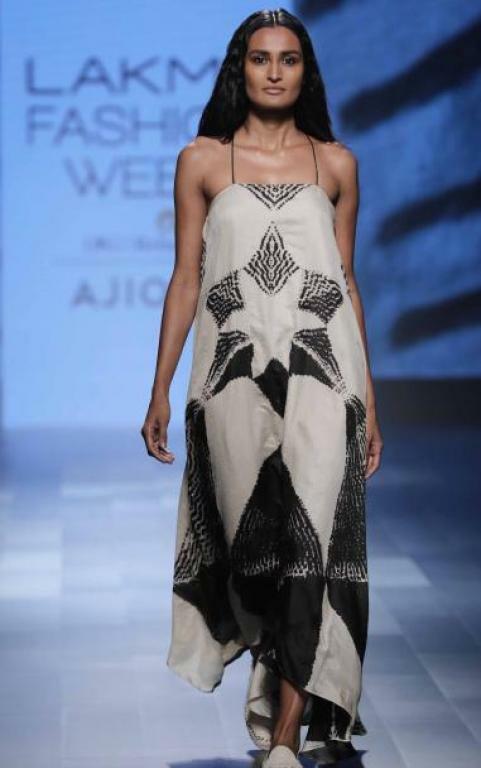 Amrich Sayantam Brings the off-shoulder dresses, monochrome prints as the key pattern with playfull "A" line silhouettes pattern. 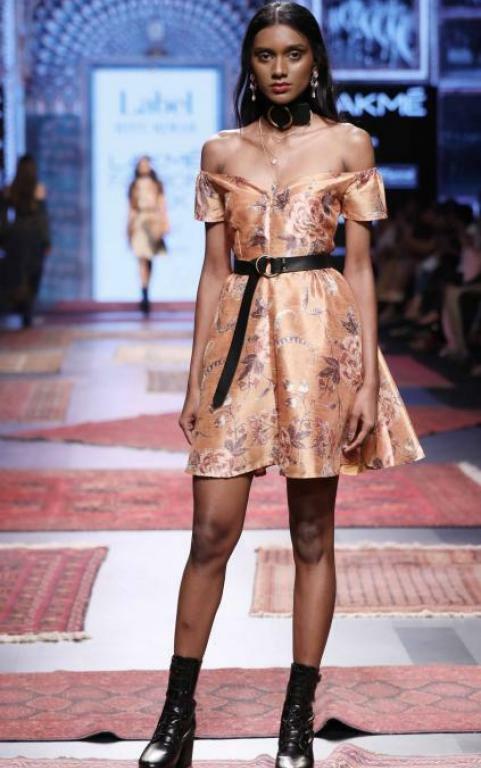 Label Ritu Kumar brings the mini off-shoulder dress crafted in floral pattern over the orange silk fabric. However, internationally these trends are no more popular. The Long dresses of georgette, satin or cotton made spotted at the Lakme fashion week 2017 runway. The dresses were inspired from the 70's fashion and the current Nomad trend of hippy style.